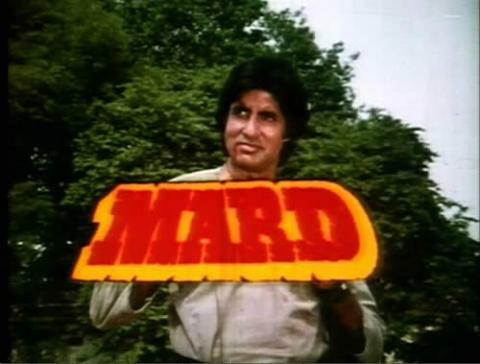 Hello Guys, Today we share some famous and best dialogues of Amitabh Bachchan from Mard movie. This is an action movie which was released in 1985. The film directed and produced by Manmohan Desai. Amitabh Bachchan, Amrita Singh, Nirupa Roy, Dara Singh, Prem Chopra are in main lead role. This was one of the blockbuster hit film of Amitabh Bachchan. This movie also remade in Tamil as name of Maaveeran. 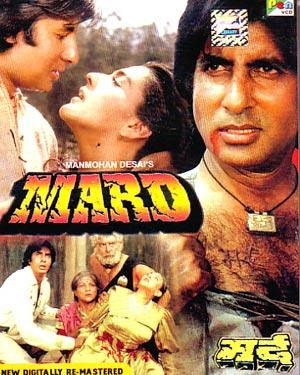 Mard movie has some famous hard hitting dialogues which are delivered by Amitabh Bachchan and other actors of this film. Amitabh was nominated for Filmfare Award for best actor. Here we have collected best Amitabh Bachchan hit dialogues from Mard movie. I hope, you will like my post. "Yeh namak ... namak haraamo ke zakhmo ko jalata hoga ... Namak halaalo ke nahi"
"Jiske seene mein doosro ke liye dard hota hai ... Asal mein wahi mard hota hai"